Learn at home – or come to us! Information exchange between experts and arborists forms the valuable basis of specialist skills and further development in our profession. Take advantage of our many years of practical experience, get involved in the latest developments in arboriculture, and experience the practical presentation of studies and research work in our courses. The public seminars we plan to hold are all listed in our seminar calendar. The topics they cover can also be brought to you as a specific training event for your company, management department or institution. We can hold the courses either on your premises, or in our own training facilities in Gauting. If you are interested in a special topic and there is currently no date for that in our seminar calendar, please email us, as there is subject matter we would only provide on demand. Spectacular tree damage is a challenge for everyone involved. However, if one understands the biomechanical background, it can help in assessing the safety risk, even in difficult cases. The two main factors that can contribute to a tree failing are: external loads that can occur, and the tree’s load-bearing capacity. Both factors can often be estimated without the use of diagnostic instruments. We use living trees to teach you simple methods of documenting the results of a thorough visual examination. You will try out tools for estimating the residual load-bearing capacity of a compromised tree, and estimation procedures to determine the loads affecting weak points in the tree. The visual inspection method for tree diagnoses is often supplemented these days by the use of device-based procedures or further assessment methods. Regulations were first published in 2013 in the Tree Assessment Guidelines by the German Landscape Research, Development and Construction Society. When does which device make sense, what predictions do the different methods allow, and what are the limitations of the various methods? According to what principles do the devices function? What does a consultant need to do and what needs to be documented and illustrated? Different course formats are used to present an overview of non-destructive tree diagnosis and/or to provide more detailed theory and practice of the use of certain methods. 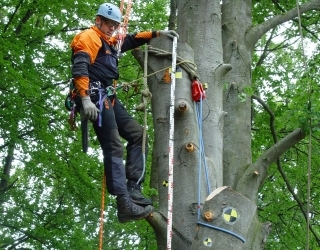 Qualification training courses for tree inspectors are held on a regular basis in cooperation with the Academy for Landscaping, Weihenstephan. The course consists of three modules corresponding to a 5-day intensive seminar. 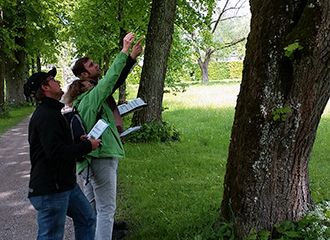 It is run in collaboration with Michael Schlag´s, tree expert office (Cologne). 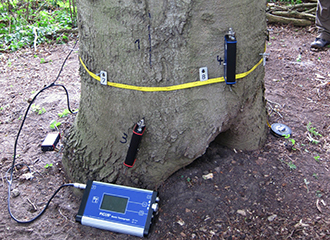 Evaluating pulling tests using the specially developed Arbostat software (Arbosafe Hard- und Software GmbH) requires a basic knowledge of mechanics and wood physics, a clear understanding of safety appraisal according to engineering principles, plus experience in estimating wind load on trees and their dynamic reactions to it. Public safety requirements keep leading to the crowns of old trees being cut back considerably. However, due to the reduction in leaf area and the wounds that result from the cuts, the trees can suffer lasting damage. In many cases, safety can be ensured by the installation of cabling systems, therefore negating any need for damage-causing interventions. In order for crown supports to be a suitable instrument for guaranteeing public safety, however, they must be installed by experts and be properly monitored. Numerous products with different designs, flexibility and strengths have now been established on the market. Unfortunately, some tree officers and arborists are not completely sure what system or product to choose, how to configure it correctly, at what height to install it, how to choose the strength and, in addition to that, how to properly inspect and maintain the cabling system. Our courses and individual lectures cover the biomechanical basics of how to professionally install cabling systems to ensure public safety; we also go into the limitations and problems of the current systems. The participants should then be able to not only select and configure suitable cabling systems for individual cases, but also to reliably select and justify, beyond the use of standard table values, the appropriate properties such as flexibility and load-bearing capacity, especially with regard to different safety objectives. Rigging techniques, i.e. 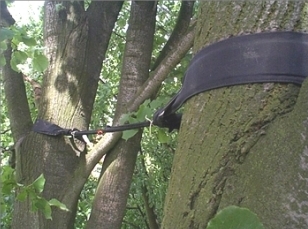 the dismantling of trees using ropes and blocks, have long been used in tree care. During these operations, the tree, industrial ropes, connectors, and pulleys are connected to form a dynamic system that has to bring a falling log, often of considerable weight, safely to the ground. The dangers of rigging and the associated risks for climbers are markedly greater than with other tree care measures. Since 2006, Andreas Detter has been doing scientific research into the dynamic forces and movements that occur during rigging, the energy conversion, and the necessary safety precautions. The results of the studies, which span a number of years, are presented in mainly one-day courses and illustrated by significant practical examples and in group outdoor experiments. The protection of our natural environment and the preservation of biodiversity are two of the most important tasks of our time. Since trees are often also the habitats of rare animal species, arboriculture and landscaping can make a significant contribution to their protection; conversely, it can easily come into conflict with legal regulations. So what are the structures that protected species use as habitats? Are there particularly sensitive phases in those species’ life cycles? Which structures should be maintained at all costs? Which possibilities of inspection are there? What can I still judge for myself and when should I consult specialists? When can arborists be held liable or fined? Together with experts in the field of nature and wildlife conservation, we can offer you advice and recommendations for arboriculture that conform to the relevant protection laws. We can tell you about the living patterns of typical tree inhabitants and the legal regulations governing their protection. We can draw upon our many years of experience to show you where problems lie and offer you solutions to them. The handling of very old trees, which play a special role as ancient trees for our cultural heritage and nature conservation, is a unique field of work for specialized arborists and experts. 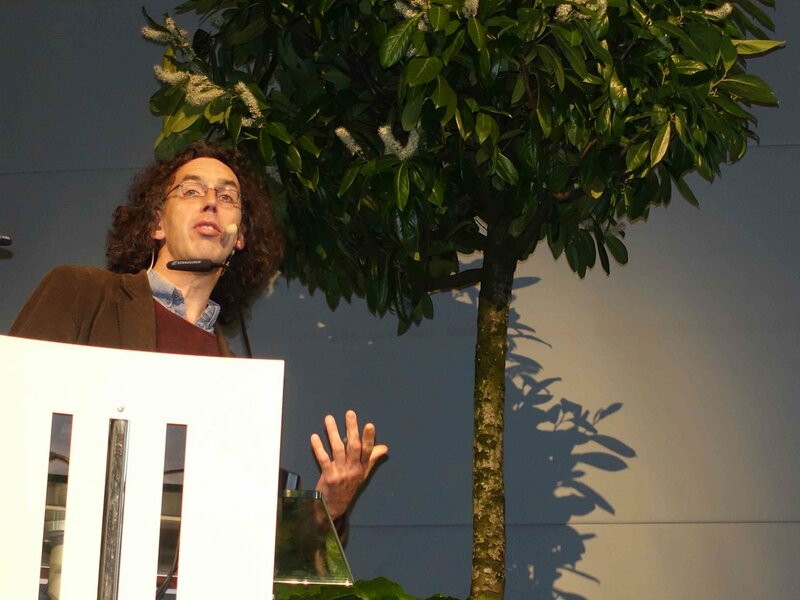 The pioneering work of the Ancient Tree Forum in Great Britain, among other things, is increasingly attracting the attention of the public and groups of experts to this very special type of tree. 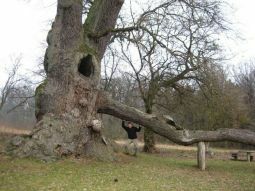 Ancient trees, often protected in Germany as natural monuments, require different care than conventional trees. They must be recorded as biological systems and treated according to their particular biological characteristics, which greatly distinguish them from younger trees. The aim is to preserve them for as long as possible. 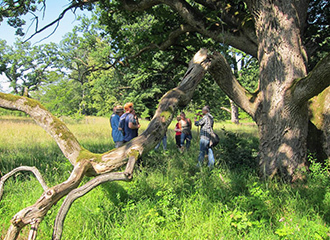 In various workshops we examine the special biological features of old and slowly declining trees as well as the specific bonds that xylobiontic beetle species have to the special habitats in old trees and their environment. Consequently, we can present possibilities for practical tree care that were developed for the long-term preservation and care of ancient and other valuable old trees. 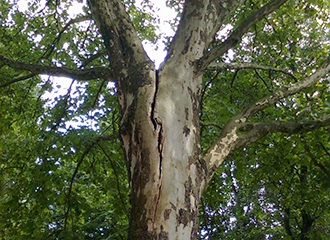 The techniques include 30-year management plans, and retrenchment pruning that mimics or anticipates the natural ageing processes of trees. Andreas Detter and Erk Brudi have been guest speakers at conferences all over the world for many years now. The range of topics they cover include the fracture mechanics of branches, safe work practice for arborists, wind load estimation, and tree statics, along with trees and neighboring rights, tree-friendly construction planning, and wildlife protection for arborists. All talks can be held in German and/or in English.